Hot-Chamber Die Casting – in this process, a pool of molten metal is fed/ into the mold through pressure that is applied by a pneumatic-powered or hydraulic-powered piston. 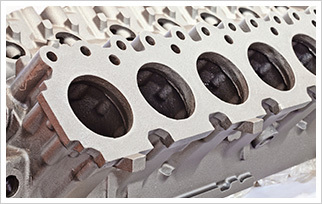 It is an advantageous method due to its fast cycle times, up to 15 cycles per minute on average, and the convenience of melting the metal directly in the chamber/machine; conversely, the use of hot-chamber machines is limited to low-melting point metals only, which eliminates aluminum die casting as an option. Cold-Chamber Die Casting – this method requires the metal to be melted in a separate furnace then transported in precise amounts to the cold-chamber machine; this molten metal is then injected or shot into the mold by hydraulic or mechanical pistons. This system is ideal for use with aluminum and zinc alloys containing large concentrations of aluminum, magnesium, and copper; its primary disadvantage is longer cycle times, due to the need to transfer the molten metal from a furnace to the machine. 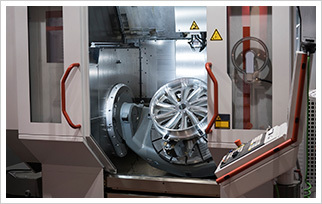 In order to make these types of items, particularly with the production volumes, efficiencies, and tolerances expected by their clients and/or end-users, manufacturers will need mold cavities that are very precise in design; products that are delivered with irregularities or of inferior quality will likely be rejected, along with any and all invoice for services rendered. Thus, manufacturers who rely upon metal molds/die casting within their business operations may want to consult with the precision mold making, die casting, and tooling specialists at Noble Precision to ensure the highest standards of quality and accuracy for their products. Although the manufacture of parts/products using die casting can be a relatively straight-forward process, it is all predicated on significant capital costs for the die casting equipment and the metal dies/molds. And while a manufacturer might have the resources to invest in this equipment, and the plans/strategies to recover and surpass their investment, all can be for naught if the precision and quality of the mold is anything less than the highest degree. 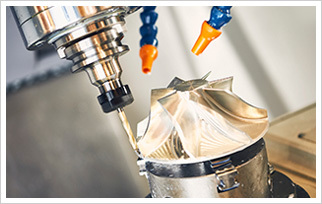 Visit our Mold Making Services page to obtain more information on the various precision mold-making services provided by Noble Precision, including metal molds for die casting processes. Call the precision mold-making experts at Noble Precision at 647-499-7569 or Contact us to schedule a complimentary consultation on how our technologies and services can support your specific die casting needs.